Katie, a Girl Scout Ambassador from Walpole, is passionate about storytelling and sees it as a way to unify community members of all generations. She used her Gold Award project to augment school writing lessons, which often focus on structure and grammar. Katie wanted to help others find their voice, identify the writing genre that best suits their story, express themselves through writing, and then confidently share their writing with others. Katie created a six-week writing program, with each week devoted to a genre of writing: poetry, screenplays, fiction/fantasy, nonfiction/essay/persuasive, memoir/narrative, and mystery/thriller. Each lesson included a presentation by a professional writer, a writing workshop for local students, and an open microphone night for all to share their writing. Professional writers included U.S. poet laureate and Pulitzer Prize winner Tracy K. Smith, screenplay writer John Mosetich, children’s book author and illustrator Peter H. Reynolds, sports biography writer Adam Frattasio, Harvard Review editor and memoirist Christina Thompson, and bestselling mystery and thriller authors Alison Gaylin and Lyndsay Faye. Later in the week local students participated in workshops to practice writing in the genre, which they could present at open mic nights. Katie and her volunteer team also filmed six videos of English teachers, each presenting a different writing genre. These videos were used during the workshops and are now available on YouTube. They also collected writing from the students, as well as other community members, and created a literary journal; they distributed copies to local libraries, senior centers, coffee shops, and schools. Katie and her team will host this workshop series annually. In addition, they would like to create other workshops that tie writing to other art forms, including music and visual arts. 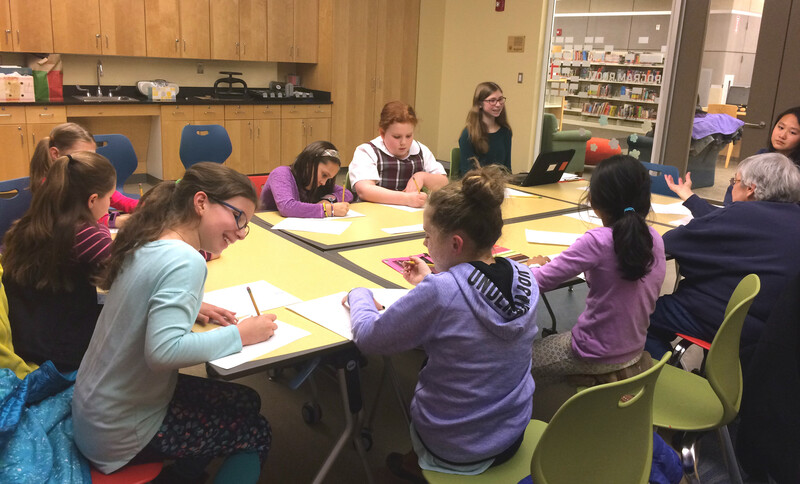 We love Katie’s passion for writing and how she is using it to unite her community!